Does God’s all-encompassing will restrict our freedom? Does God’s ownership and mastery over us diminish our dignity? The fear that God is a threat to our freedom and dignity goes far back in Western thought. Such suspicion remains with us today in our so-called secular society. In such a context any talk of God tends to provoke responses that range from defiance to subservience to indifference. How did Western culture come to this place? What impact does this social and intellectual environment have on those who claim to believe in God or more specifically in the Christian God of the Bible? Professor of religion Ron Highfield traces out the development of Western thought that has led us our current frame of mind from Plato, Augustine and Descartes through Locke, Kant, Blake Bentham, Hegel, Nietzsche–all the way down to Charles Taylor’s landmark work Sources of the Self. At the heart of the issue is the modern notion of the autonomous self and the inevitable crisis it provokes for a view of human identity, freedom and dignity found in God. Can the modern self really secure its own freedom, dignity and happiness? What alternative do we have? Highfield makes pertinent use of trinitarian theology to show how genuine Christian faith responds to this challenge by directing us to a God who is not in competition with his human creations, but rather who provides us with what we seek but could never give ourselves. God, Freedom and Human Dignity is essential reading for Christian students who are interested in the debates around secularism, modernity and identity formation. Perhaps the most persistent question in human history is whether or not there is a God. Intelligent people on both sides of the issue have argued, sometimes with deep rancor and bitterness, for generations. The issue can’t be decided by another apologetics book, but the conversation can continue and help each side understand the perspectives of the other. 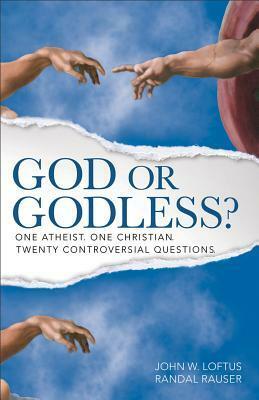 In this unique book, atheist John Loftus and theist Randal Rauser engage in twenty short debates that consider Christianity, the existence of God, and unbelief from a variety of angles. Each concise debate centers on a proposition to be resolved, with either John or Randal arguing in the affirmative and the opponent the negative, and can be read in short bits or big bites. This is the perfect book for Christians and their atheist or agnostic friends to read together, and encourages honest, open, and candid debate on the most important issues of life and faith. Templeton Foundation Character Project’s Character Essay and Book Prize Competition award winner! What does it mean to love God with all of our minds? Our culture today is in a state of crisis where intellectual virtue is concerned. Dishonesty, cheating, arrogance, laziness, cowardice–such vices are rampant in society, even among the world’s most prominent leaders. We find ourselves in an ethical vacuum, as the daily headlines of our newspapers confirm again and again. Central to the problem is the state of education. We live in a technological world that has ever greater access to new information and yet no idea what to do with it all. In this wise and winsome book, Philip Dow presents a case for the recovery of intellectual character. He explores seven key virtues–courage, carefulness, tenacity, fair-mindedness, curiosity, honesty and humility–and discusses their many benefits. The recovery of virtue, Dow argues, is not about doing the right things, but about becoming the right kind of person. The formation of intellectual character produces a way of life that demonstrates love for both God and neighbor. Dow has written an eminently practical guide to a life of intellectual virtue designed especially for parents and educators. The book concludes with seven principles for a true education, a discussion guide for university and church groups, and nine appendices that provide examples from Dow’s experience as a teacher and administrator. Virtuous Minds is a timely and thoughtful work for parents and pastors, teachers and students–anyone who thinks education is more about the quality of character than about the quantity of facts. Holy War in the Bible: Christian Morality and an Old Testament Problem – Heath A. Thomas, Jeremy Evan, & Paul Copan, eds. (IVP Academic, April 2013). The challenge of a seemingly genocidal God who commands ruthless warfare has bewildered Bible readers for generations. The theme of divine war is not limited to the Old Testament historical books, however. It is also prevalent in the prophets and wisdom literature as well. Still it doesn’t stop. The New Testament book of Revelation, too, is full of such imagery. Our questions multiply. Why does God apparently tell Joshua to wipe out whole cities, tribes or nations? Is this yet another example of dogmatic religious conviction breeding violence? Did these texts help inspire or justify the Crusades? What impact do they have on Christian morality and just war theories today? How does divine warfare fit with Christ’s call to “turn the other cheek”? Why does Paul employ warfare imagery in his letters? Do these texts warrant questioning the overall trustworthiness of the Bible? These controversial yet theologically vital issues call for thorough interpretation, especially given a long history of misinterpretation and misappropriaton of these texts. This book does more, however. A range of expert contributors engage in a multidisciplinary approach that considers the issue from a variety of perspectives: biblical, ethical, philosophical and theological. While the writers recognize that such a difficult and delicate topic cannot be resolved in a simplistic manner, the different threads of this book weave together a satisfying tapestry. Ultimately we find in the overarching biblical narrative a picture of divine redemption that shows the place of divine war in the salvific movement of God. 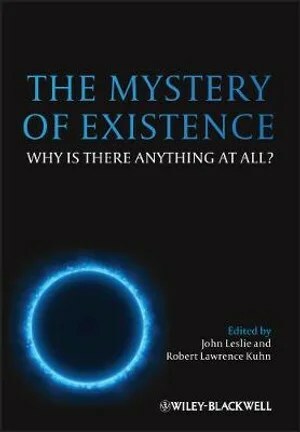 This compelling study of the origins of all that exists, including explanations of the entire material world, traces the responses of philosophers and scientists to the most elemental and haunting question of all: why is anything here—or anything anywhere? Why is there something rather than nothing? Why not nothing? 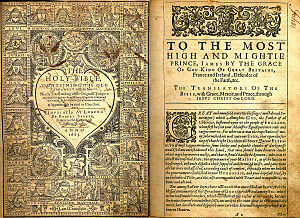 It includes the thoughts of dozens of luminaries from Plato and Aristotle to Aquinas and Leibniz to modern thinkers such as physicists Stephen Hawking and Steven Weinberg, philosophers Robert Nozick and Derek Parfit, philosophers of religion Alvin Plantinga and Richard Swinburne, and the Dalai Lama. Mind, Brain, and Free Will presents a powerful new case for substance dualism (the idea that humans consist of two parts–body and soul) and for libertarian free will (that humans have some freedom to choose between alternatives, independently of the causes which influence them). Richard Swinburne argues that answers to questions about mind, body, and free will depend crucially on the answers to more general philosophical questions. He begins by analyzing the criteria for one event being the same as another, one substance being the same as another, and a state of affairs being metaphysically possible; and then goes on to analyze the criteria for a belief about these issues being justified. Pure mental events (including conscious events) are distinct from physical events and interact with them. Swinburne claims that no result from neuroscience or any other science could show that interaction does not take place; and illustrates this claim by showing that recent scientific work (such as Libet’s experiments) has no tendency whatever to show that our intentions do not cause brain events. He goes on to argue for agent causation, and claims that–to speak precisely–it is we, and not our intentions, that cause our brain events. It is metaphysically possible that each of us could acquire a new brain or continue to exist without a brain; and so we are essentially souls. Brain events and conscious events are so different from each other that it would not be possible to establish a scientific theory which would predict what each of us would do in situations of moral conflict. Hence given a crucial epistemological principle (the Principle of Credulity) we should believe that things are as they seem to be: that we make choices independently of the causes which influence us. According to Swinburne’s lucid and ambitious account, it follows that we are morally responsible for our actions. Philosophy, archaeology and science are hot topics in Christian circles, perplexing many believers about how these issues relate to faith. Fortunately for us, Chris Sinkinson has investigated these areas and gathered historical Christian perspective. The result is this accessible introduction to apologetics, which enlightens minds and inspires confidence. In the real world, we don’t usually sit in lecture halls debating worldview issues in systematic arguments. Chances are that we’re more likely to have haphazard, informal conversations over a latte in a coffee shop. Meet Randal Rauser, a Christian, and Sheridan, an atheist. Over the course of one caffeinated afternoon, they explore a range of honest questions and real objections to Christian faith. Do people hold to a particular religion just because of an accident of geography? Is believing in Jesus as arbitrary as believing in Zeus? Why would God order the slaughter of infants or send people to hell? How do you know you’re really real, and not just a character in someone’s book? Their extended conversation unfolds with all the rabbit trails, personal baggage and distractions that inevitably come in real-world encounters. Rauser provides substantive argument-based apologetics but also highlights the importance of apologetics as a narrative journey. As we get to know Sheridan, we better understand the personal history that drives his atheism and the issues that motivate his skepticism. 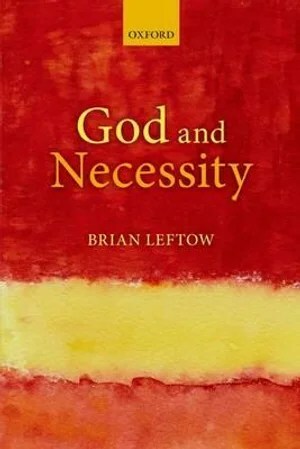 Brian Leftow offers a theory of the possible and the necessary in which God plays the chief role, and a new sort of argument for God’s existence. It has become usual to say that a proposition is possible just in case it is true in some “possible world” (roughly, some complete history a universe might have) and necessary just if it is true in all. Thus much discussion of possibility and necessity since the 1960s has focused on the nature and existence (or not) of possible worlds. God and Necessity holds that there are no such things, nor any sort of abstract entity. It assigns the metaphysical ‘work’ such items usually do to God and events in God’s mind, and reduces “broadly logical” modalities to causal modalities, replacing possible worlds in the semantics of modal logic with God and His mental events. Leftow argues that theists are committed to theist modal theories, and that the merits of a theist modal theory provide an argument for God’s existence. Historically, almost all theist modal theories base all necessary truth on God’s nature. Leftow disagrees: he argues that necessary truths about possible creatures and kinds of creatures are due ultimately to God’s unconstrained imagination and choice. On his theory, it is in no sense part of the nature of God that normal zebras have stripes (if that is a necessary truth). Stripy zebras are simply things God thought up, and they have the nature they do simply because that is how God thought of them. Thus Leftow’s essay in metaphysics takes a half-step toward Descartes’ view of modal truth, and presents a compelling theist theory of necessity and possibility. Is the brain “a computer made of meat,” and human consciousness a simple product of electrical impulses? The idea that matter is all that exists has dominated science since the late nineteenth century and led to the long-standing scientific and popular understanding of the brain as simply a collection of neurons and neural activity. But for acclaimed neuroscientist Mario Beauregard, Ph.D., along with a rising number of colleagues and others, this materialist-based view clashes with what we feel and experience every day. 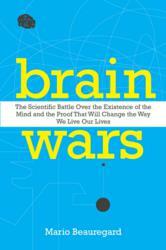 In Brain Wars, Dr. Beauregard delivers a paradigm-shifting examination of the role of the brain and mind. Filled with engaging, surprising, and cutting-edge scientific accounts, this eye-opening book makes the increasingly indisputable case that our immaterial minds influence what happens in our brains, our bodies, and even beyond our bodies. Examining the hard science behind “unexplained” phenomena such as the placebo effect, self-healing, brain control, meditation, hypnosis, and near-death and mystical experiences, Dr. Beauregard reveals the mind’s capabilities and explores new answers to age-old mind-body questions. Radically shifting our comprehension of the role of consciousness in the universe, Brain Wars forces us to consider the immense untapped power of the mind and explore the profound social, moral, and spiritual implications that this new understanding holds for our future. A Brief History of Analytic Philosophy: from Russell to Rawls provides a comprehensive overview of the historical development of all major aspects of Anglo-American analytic philosophy. Beginning with the seminal works of Gottlob Frege, Bertrand Russell and G. E. Moore, Stephen P. Schwartz covers the foremost figures and schools of analytic philosophy, including, in addition to those already mentioned, Wittgenstein, Carnap, Quine, Davidson, Kripke, Putnam, Rawls, and many others. As well as presenting arguments put forth by individual philosophers, Schwartz traces the various social and political influences that helped shape analytic philosophy as it evolved over the last century. Topics considered include the emergence of logical positivism and its critics, ordinary language philosophy, Wittgenstein’s self-critical philosophy, the American neo-pragmatists, analytic ethics, late-20th-century developments, and future directions. A Brief History of Analytic Philosophy offers illuminating insights into the origins and 100-year evolution of the dominant force in Western philosophy. ** Descriptions and endorsements are provided by the publishers. — Douglas Groothuis in Christian Apologetics: A Comprehensive Case for Biblical Faith, 44. I recently had the opportunity to review Alister McGrath’s The Passionate Intellect. The book, subtitled “Christian Faith and the Discipleship of the Mind,” explores the practice of Christian theology and its relevance to the modern church and to Western culture. It is based on lectures and addresses given over the course of several years by McGrath, a Christian apologist and theologian who has gained public recognition as a speaker and author. Dr. McGrath’s credentials as a former atheist and an accomplished academic theologian with doctoral degrees in molecular biophysics and divinity give him a unique perspective in discussions of science, atheism, and Christianity. The first chapters of The Passionate Intellect primarily discuss the functions of theology as an aid to faith and understanding for the individual and the benefits of theology for the Christian community. The combination of the academic writing style and the subject matter made this part of the book a difficult read; analysis of a field of study is, to me, less engaging than the field of study itself. However, McGrath communicates very clearly his passion for a relationship with God that transcends intellectual understanding. 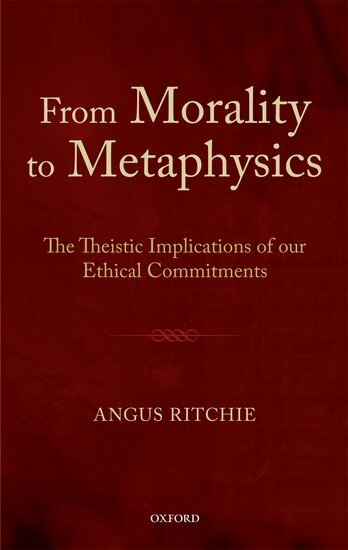 Theology for McGrath is not merely a dry study of the history or meaning of God’s actions in this world, but a pursuit that should “leave us on our knees, adoring the mystery that lies at the heart of the Christian faith.” He advocates a theology that is rooted in a personal desire to know God more deeply, is useful to the church, and that informs apologetics and evangelism. For the church as a whole, he argues that theology can hold the church to a dynamic orthodoxy, making religious truth accessible to a changing culture while remaining faithful to original apostolic teaching. From these first chapters, McGrath moves into a discussion of engaging with our culture. For me, McGrath’s strength lies in these subjects; he tackles the supposed conflict of science and religion, the implications of Charles Darwin’s ideas, and the “new atheism” with thoughtfulness and an impressive command of both history and the natural sciences. He criticizes the dogmatic assumptions inherent in the arguments of scientific atheists, particularly Richard Dawkins, who argue that good science is incompatible with religion. In this section, McGrath devotes a well-balanced chapter to the implications of Charles Darwin’s The Origin of Species for the Christian faith. In my opinion, the most fascinating chapter in the book follows the chapter focusing on Darwin. In chapter nine, “Augustine of Hippo on Creation and Evolution,” McGrath describes the conclusions that Augustine (354-430 A.D.) drew after much reflection and study of Scripture regarding God’s creation of the universe. Of course, Augustine was not responding to Charles Darwin or his work (Augustine predated Darwin by fifteen hundred years or so), but his conclusions are remarkably applicable to the current creation debate. The last several chapters focus on the new atheists’ metaphysical and sociological arguments, and their intellectual heritage. 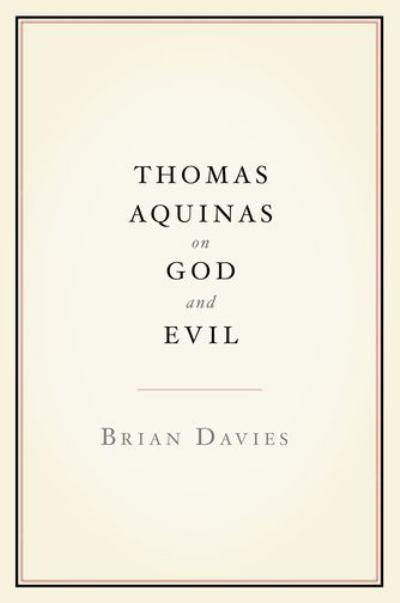 McGrath thoroughly addresses the new atheists’ assertion that “religion poisons everything,” a sound bite coined by Christopher Hitchens (2007) asserting that religion is responsible for most of the social ills in the world. This popular argument most commonly blames violence (particularly wars, terrorism, and abuse) on religion. The author dismantles the argument piece by piece, drawing from history, philosophy and sociological research to support his case. Alister McGrath is reasonable and meticulous when discussing the history and sociology of Christianity, enthusiastic about science, and passionate regarding the prospect of a life spent getting to know God. The Passionate Intellect is the product of a believer who expresses his faith with intellectual integrity and a remarkable command of the historical and scientific evidence. 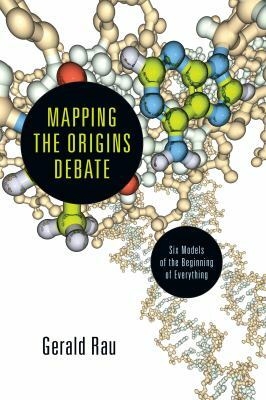 This book is a valuable resource for Christians seeking to clarify their thinking on the issues at the intersections of science, modern atheism, and Christianity. The Passionate Intellect is confirmation that a vibrant intellectual life is fully consistent with a deep faith in God. — Reviewed by Desmognathus. A follower of Jesus Christ, a wife, and a mother. She has an M.S. in biology and a Ph.D. in ecology, and enjoys philosophy and theology. She likes rock climbing and dislikes celery. Desmognathus now blogs at Fish Nor Fowl.